This monster post is broken up into three sections: general impressions, character information, and general information. I capped all the screens myself and they can be viewed at their original size when clicked. 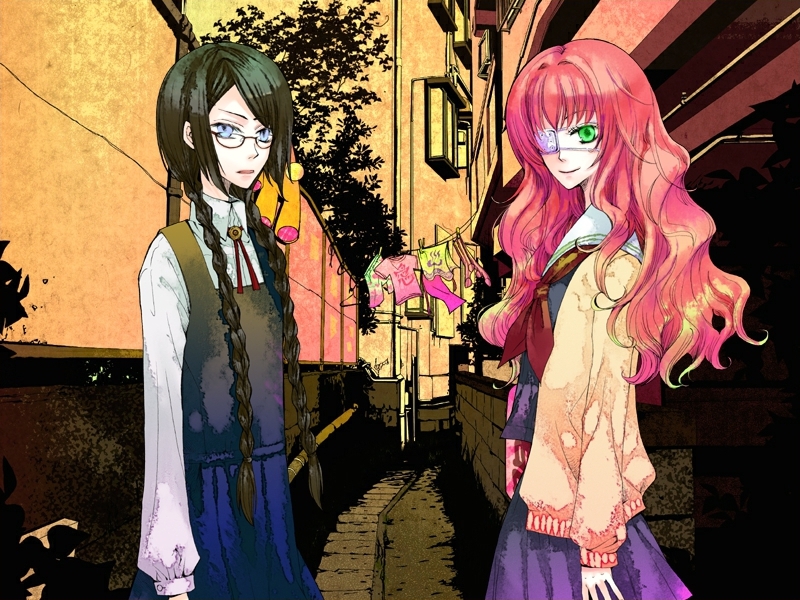 AkaAka is the long-awaited second game from the same group who produced Hanakisou, which sets a high bar–beautiful art, some of the best music found in visual novels, and a storyline not shy about veering into darker territory. For not being a professional studio, they sure delivered. First impressions suggest AkaAka will be more than capable of living up to these standards and could easily surpass them. HaccaWorks* illustrator Yumekagami Misaki returns and seems to have leveled up her artistic skills. Not that they weren’t gorgeous before, but they seem more refined. One immediately striking thing about the visuals is the color pallete, which is very bold and vivid. The character designs are certainly appealing to the shoujo/otome crowd, with tall, slender bodies and long, thin limbs. Even in these short demos, you get a good feel for personalities through the varied reactionary faces and poses. There’s also a lot of texture in the character models. 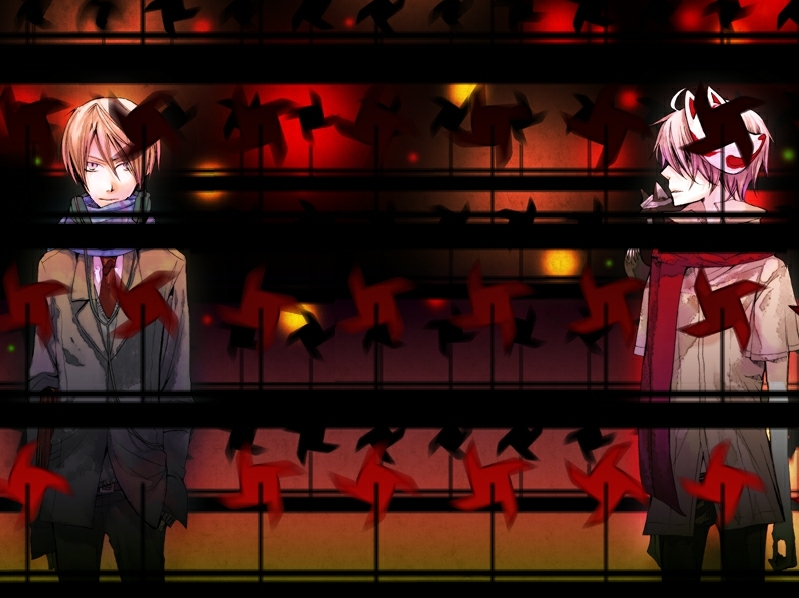 I often don’t like a “filtered” look in CGs, but it’s done very well here and everything meshes. The backgrounds seem varied and rich with detail. Even the menus and icons are cute and everything fits cohesively into the overall Japanese supernatural motif of the game. 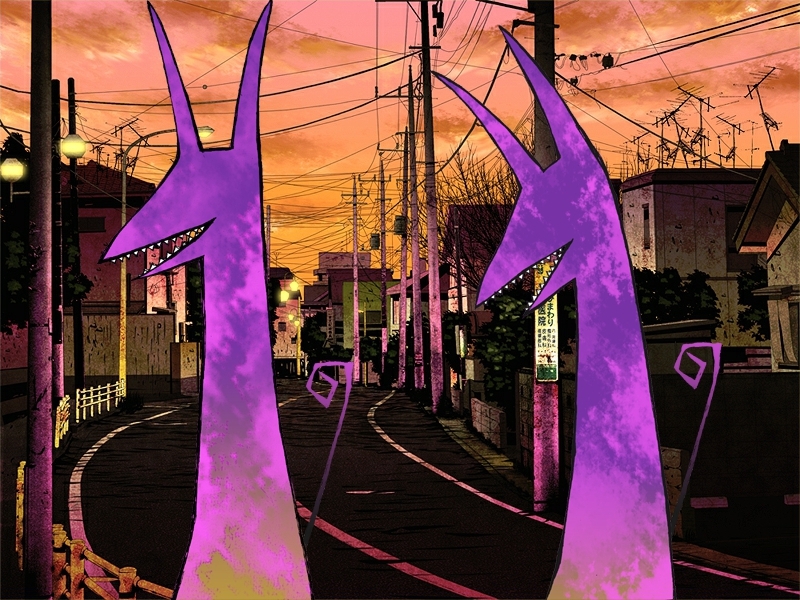 I love it–it’s one of the best-looking, stylistic visual novels I’ve seen to date. The music might be a worrying factor since Shikata Akiko is performing only the theme song and not the whole score this time around. However, after hearing a few tracks, I think we’ll get another excellent soundtrack. The tracks so far complement the Japanese folklore feel of the game very well. 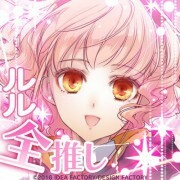 There are no voices in this release, but perhaps like Hanakisou, AkaAka will get a formal console release and full-voice treatment. Here’s to hoping! 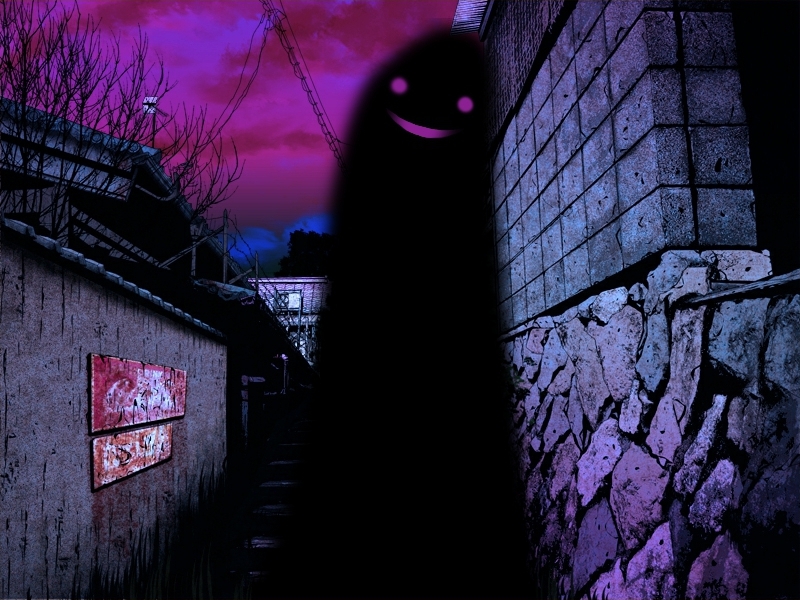 The main theme of AkaAka seemingly revolves around the term “shokuji” (『食事』), or “meal.” For a spirit, there is a perfect “meal” among humans and it is instantly recognizable because otherwise, most humans appear as faceless shadows. In order for a spirit to mature and become more powerful, they must “eat” that person. There’s a sinister undertone to this practice, as it’s likely the source of rumors of disappearances and even serial killings. Thus “prey” might be a better term. 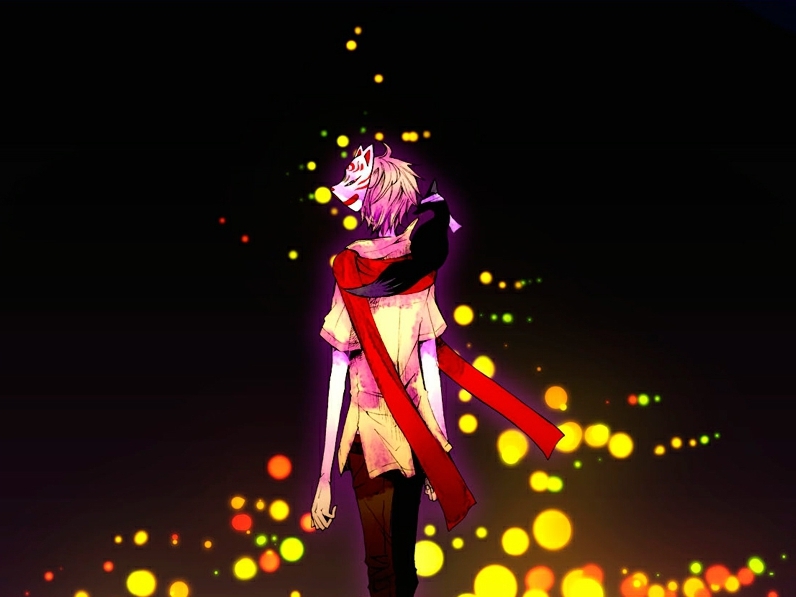 The main game will likely focus on Yue finding his own “prey,” although he is seemingly unaware of the practice or repercussions for that person. If you’re interested in trying out AkaAka, the HaccaWorks* website has two free demos available. I suggest starting from the second demo because it seemingly covers the beginning of the game. It follows around the main character Yue, introducing and outlining relationships between characters. The first demo follows around three goldfish spirits and is mostly an exploration of the “mechanics” and lore of AkaAka’s world with some brief character appearances. Don’t forget to play the omake in this demo, which completely breaks the fourth wall and allows the characters to introduce themselves. 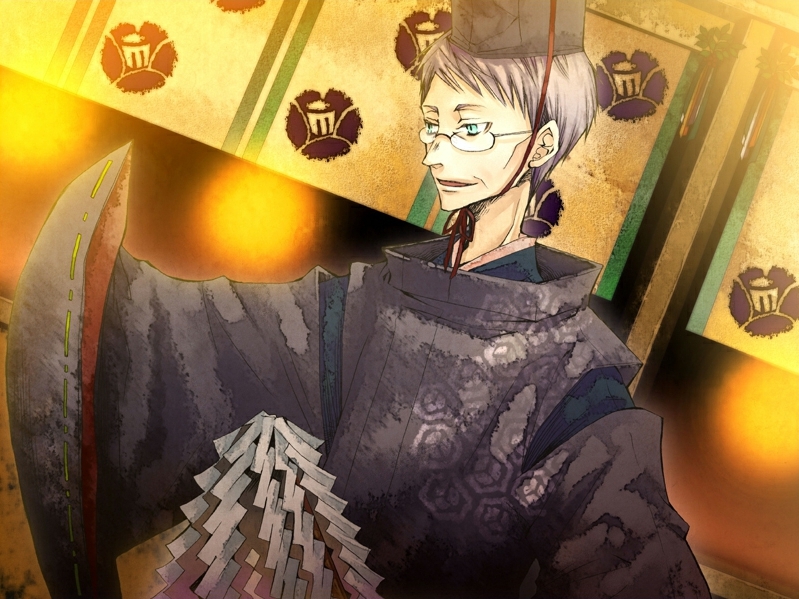 Despite being a main character, Sagano is left out for the most part in the demos, but he’s often shown opposite of Yue in key images, thus will play a large, possibly antagonistic role. For more specific information and many pretty screenshots, see the character guide below! 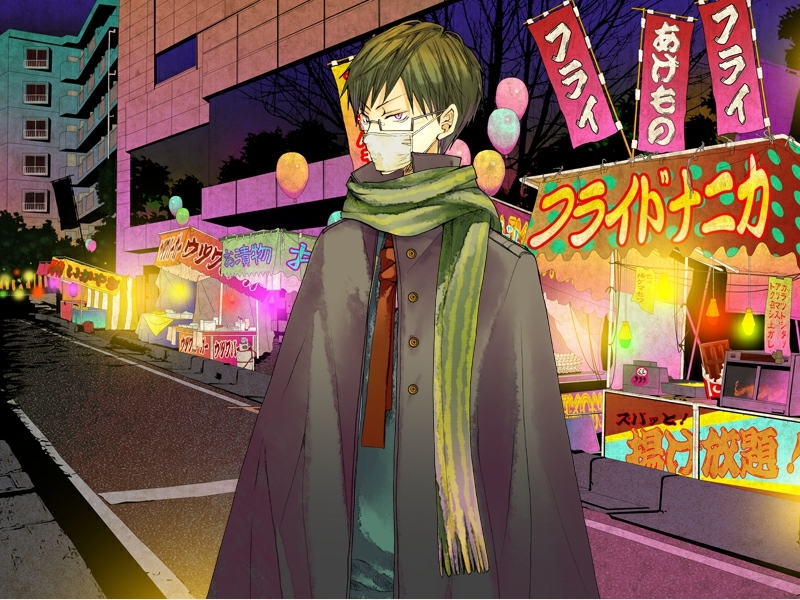 The protagonist is a carefree young man, living life at his own pace. Having never left the temple he was born and raised in, Yue’s norm is filled with the supernatural, such as shape-shifting fox spirits and talking, flying fish. He is often tired and notorious for sleeping while standing and even passing out in random places. However, he’s troubled by dreams filled with red camellia. 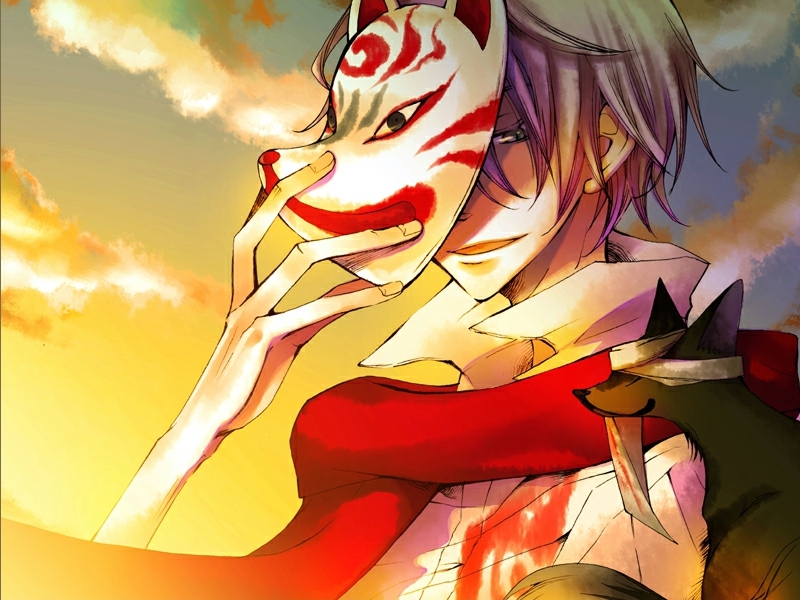 Yue always carries a fox mask which was supposedly given to him by Kurogitsune. 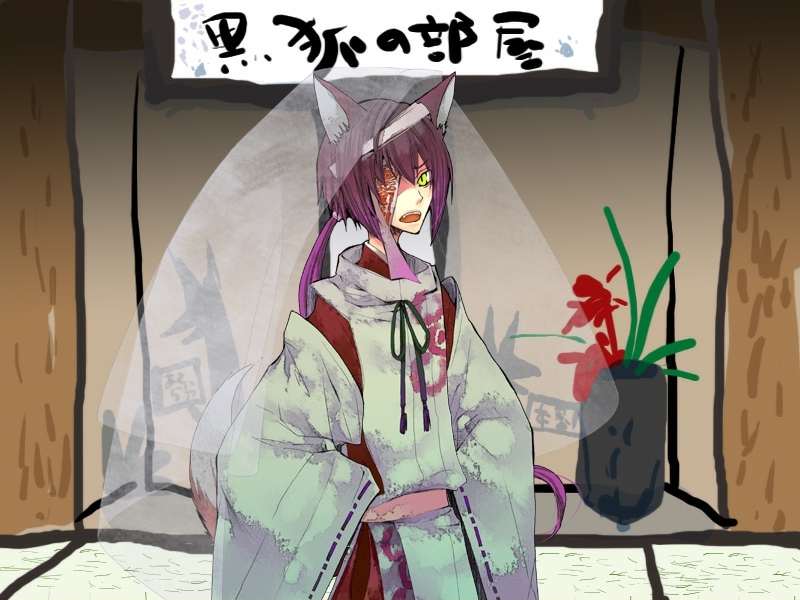 Kurogitsune (literally “black fox”) is a feisty and excitable fox spirit usually found in the company of Yue. He can take either a fox or human form, although he retains his ears and tail. 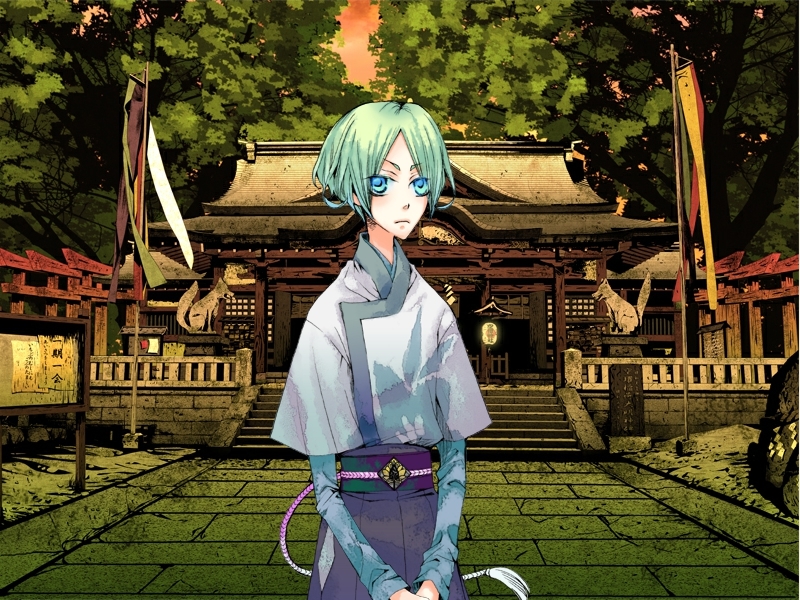 As a resident of the temple, Kurogitsune’s role is to protect Yue. He clearly knows something about Yue’s past, but casually deflects any questions. 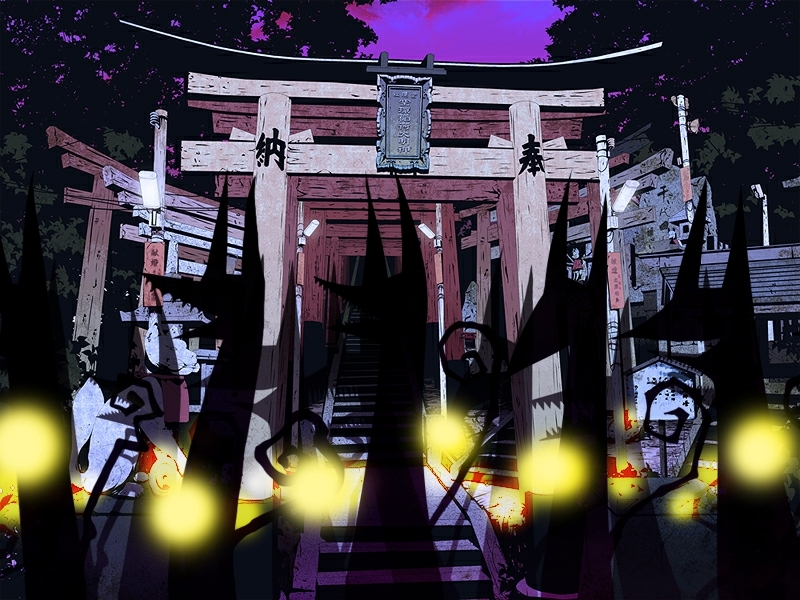 Unlike Yue, Kurogitsune occasionally descends from the mountain into town alone. However, he is not fond of humans, only their food. 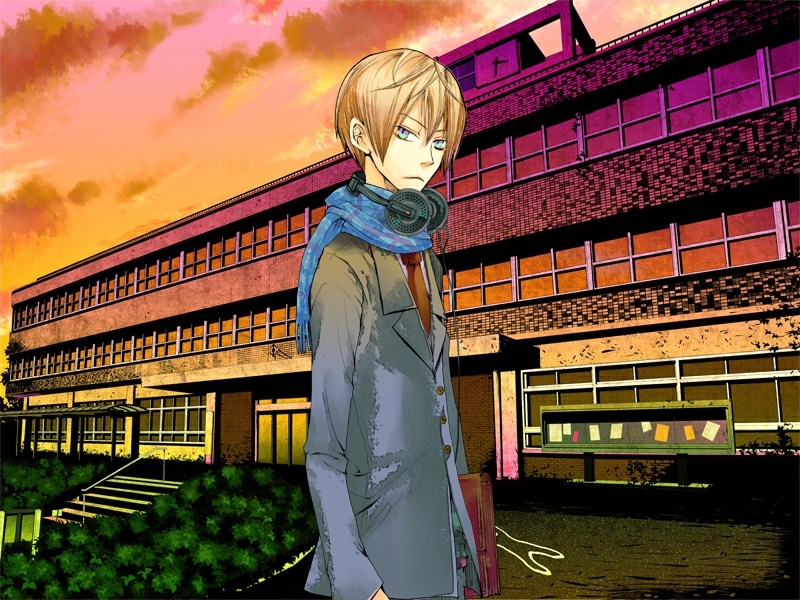 Tsubaki is a high school boy who hates the red flowers he was named after. 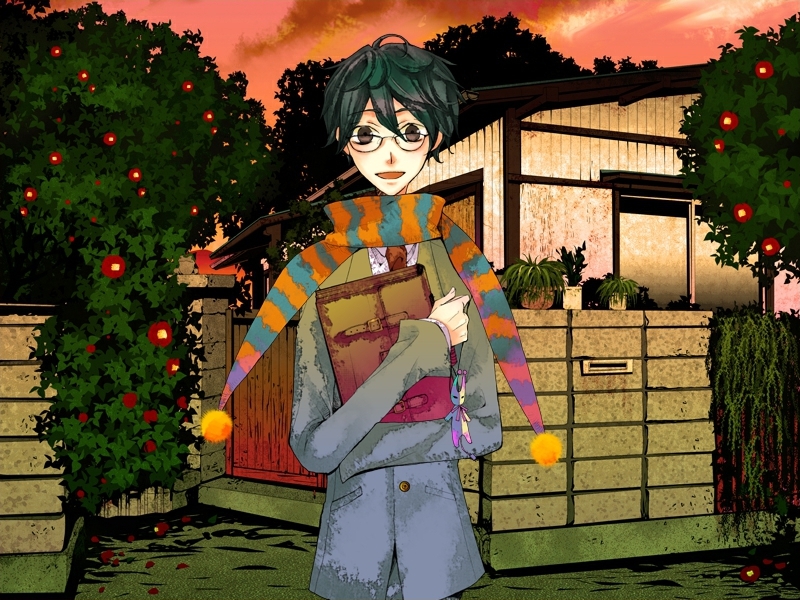 He lives with his younger sister Hina in a house surrounded by camellia. 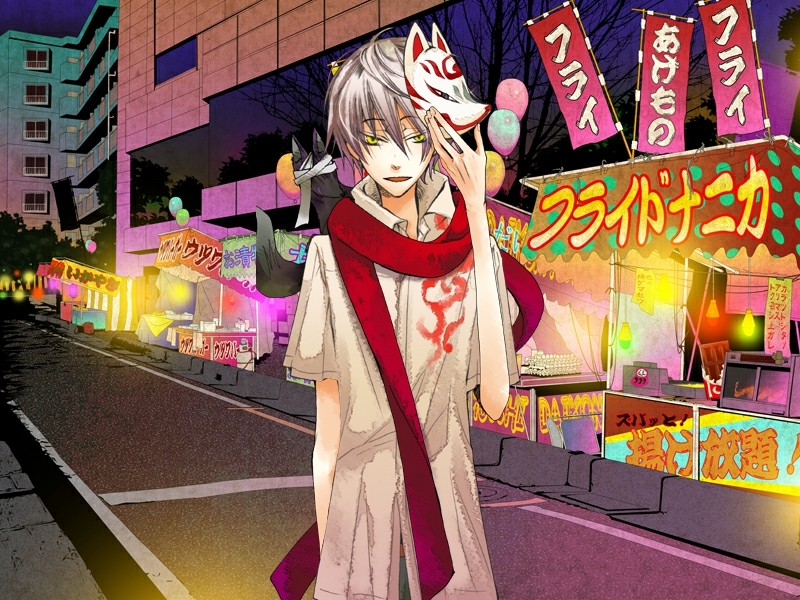 At the winter festival, Tsubaki stood out from all the faceless people and caught Yue’s interest. 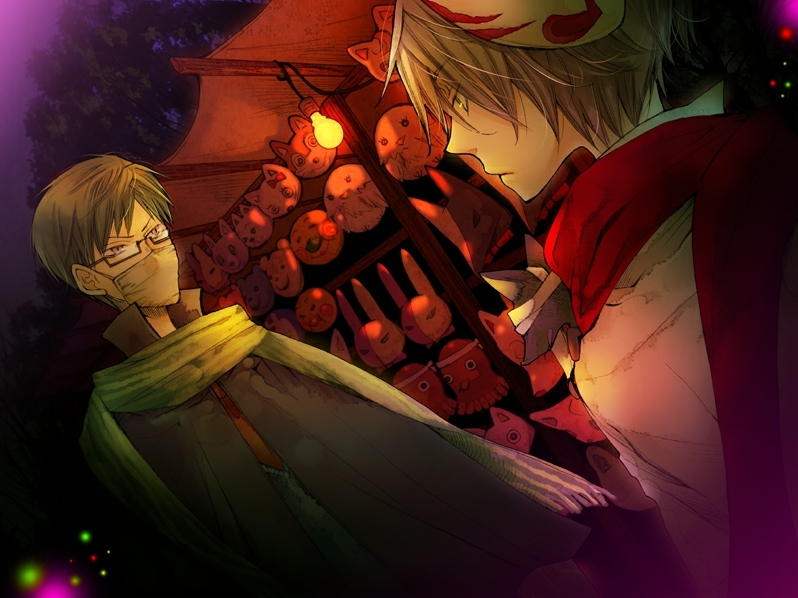 Both Tsubaki and Kurogitsune seemed nervous about this encounter, but Tsubaki quickly recollected himself. Aloof to a fault, Tsubaki keeps everyone at a comfortable distance. Sagano offhandedly commented that Tsubaki is a liar, even to himself. 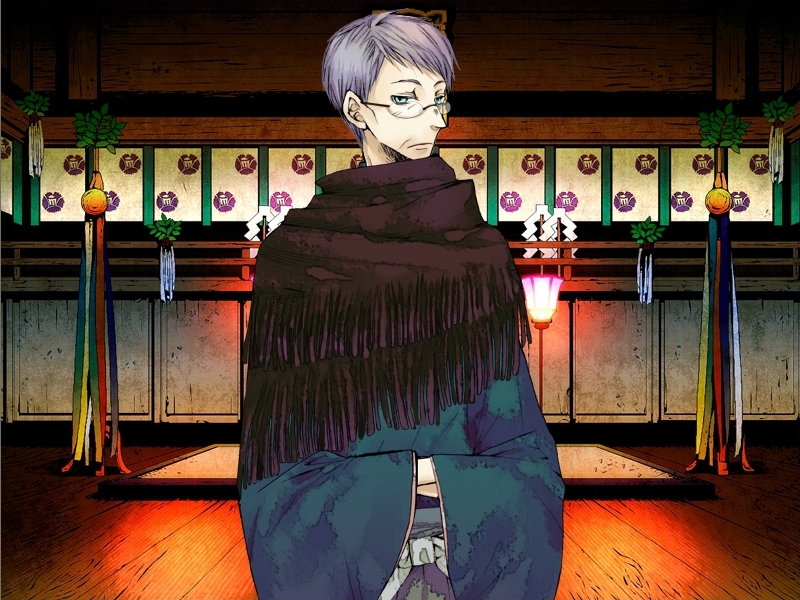 A mysterious man with elaborate facial markings who casually dons what appears to be a bloody fox tail muffler. Sagano seemingly knows a good deal about both Yue’s identity and the source of Yue’s troubled dreams, but he discloses no information. Sagano is often seen with a cold smirk on his face. 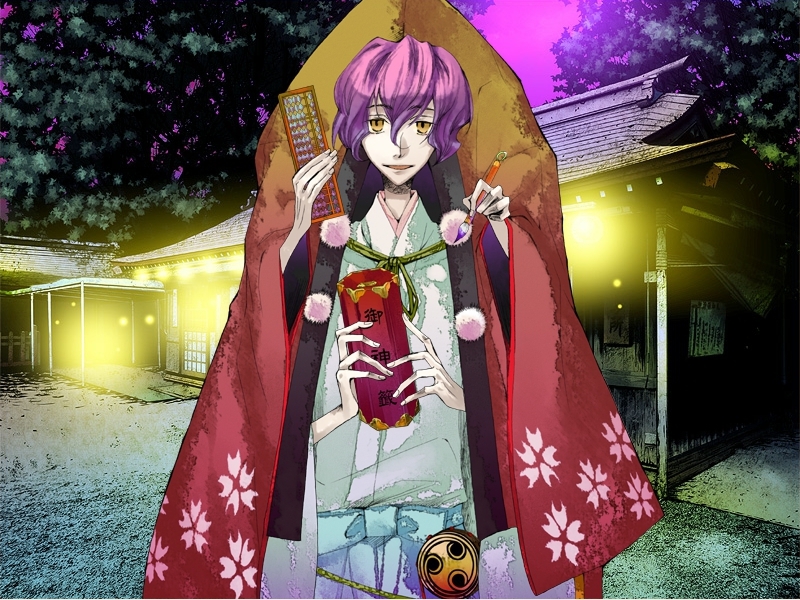 Kurogitsune notes that the only time Sagano doesn’t appear dangerous or threatening is when he’s eating. The keeper of the temple is a well-mannered man who likes cleanliness. 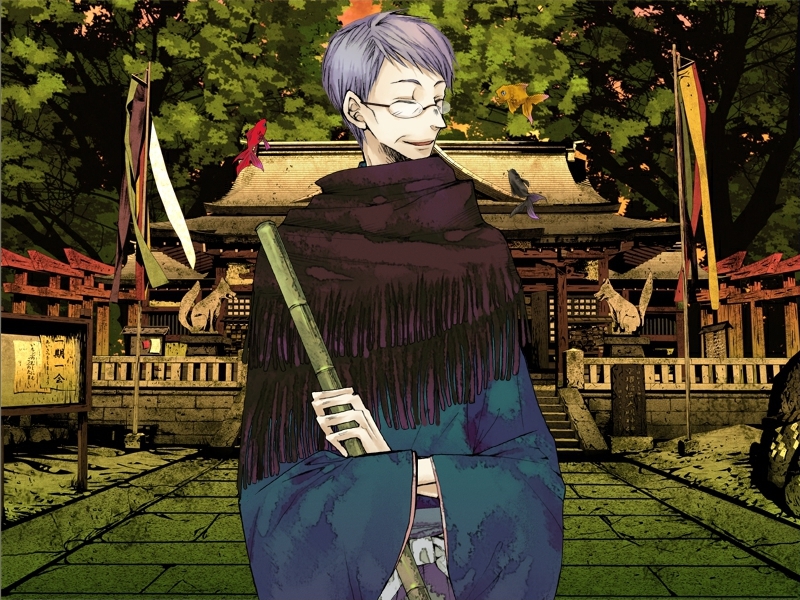 Satou raised Yue like a parent and keeps watch over many of the local spirits. 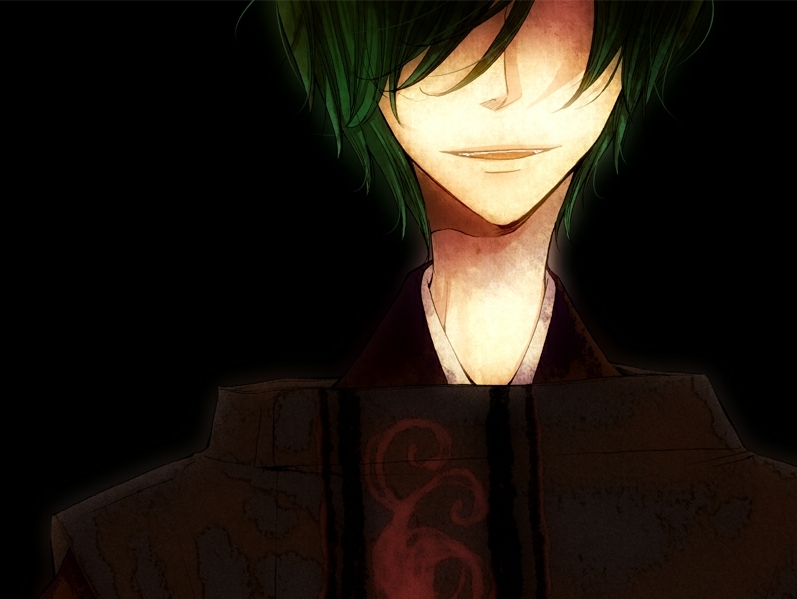 He is a stern man and the others, particularly Kurogitsune, are scared of crossing him. He reportedly loves sweet things. The god of the temple. Although she looks like a young girl, Mikoto is an old, powerful spirit. 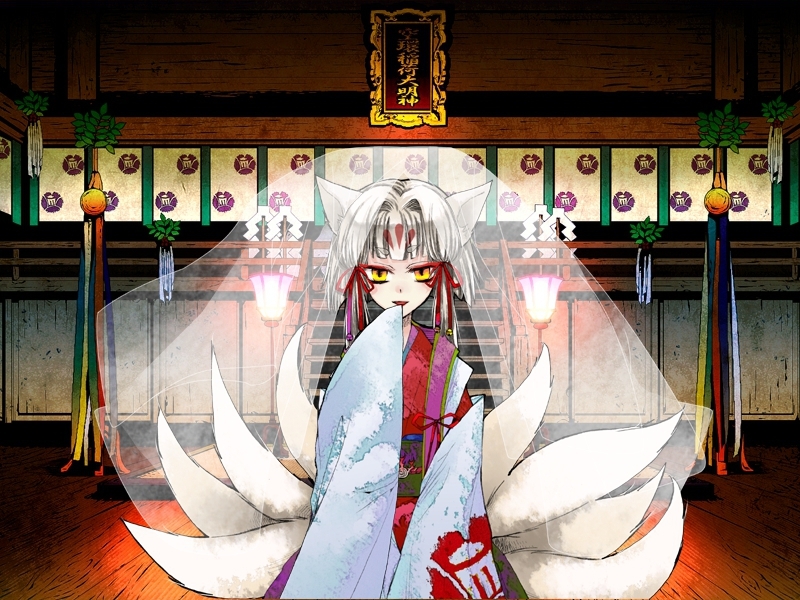 She has 8 tails visible, one short of being a nine-tailed fox spirit. Mikoto’s orders are absolute to the temple residents. However, she dotes on Yue. When she learned Yue found people of interest after he snuck to town, Mikoto retracted her ban. 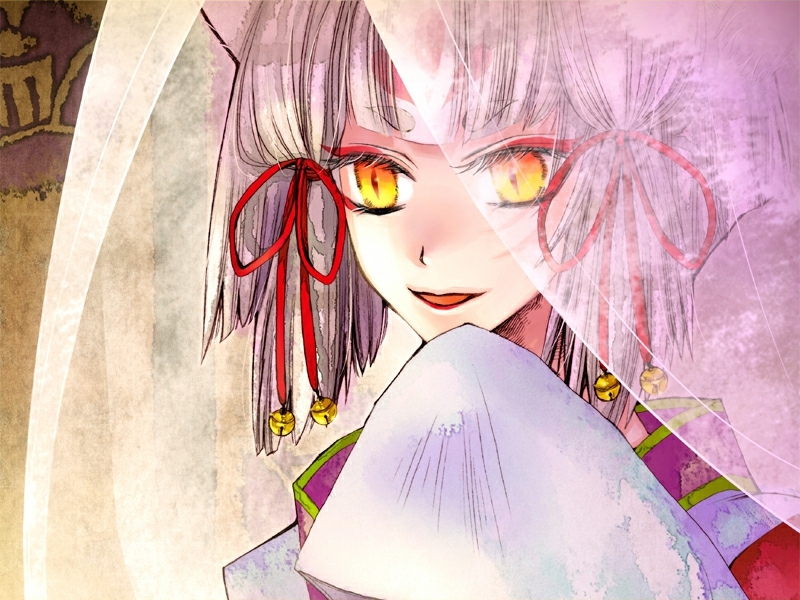 Her new orders are for Yue to become close to those people, ominously stating they are a necessity to Yue. 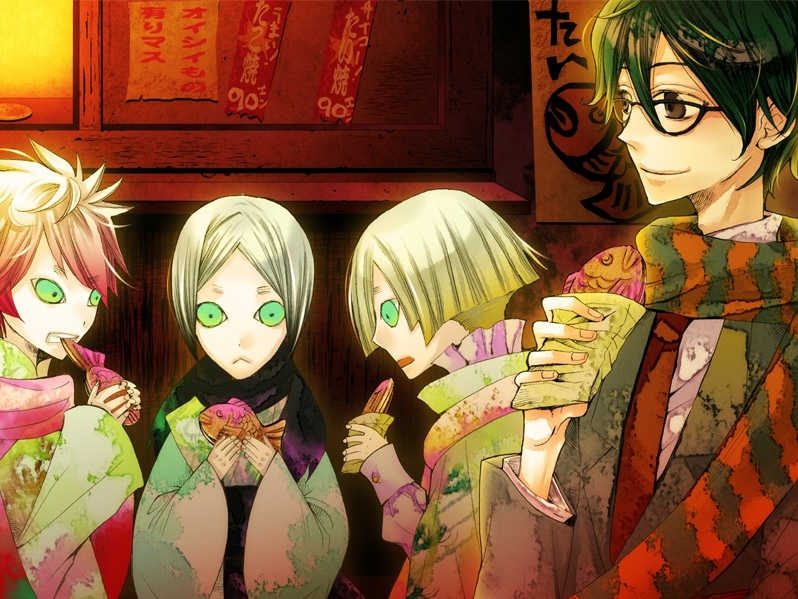 These three goldfish spirits are usually found flying about Satou. 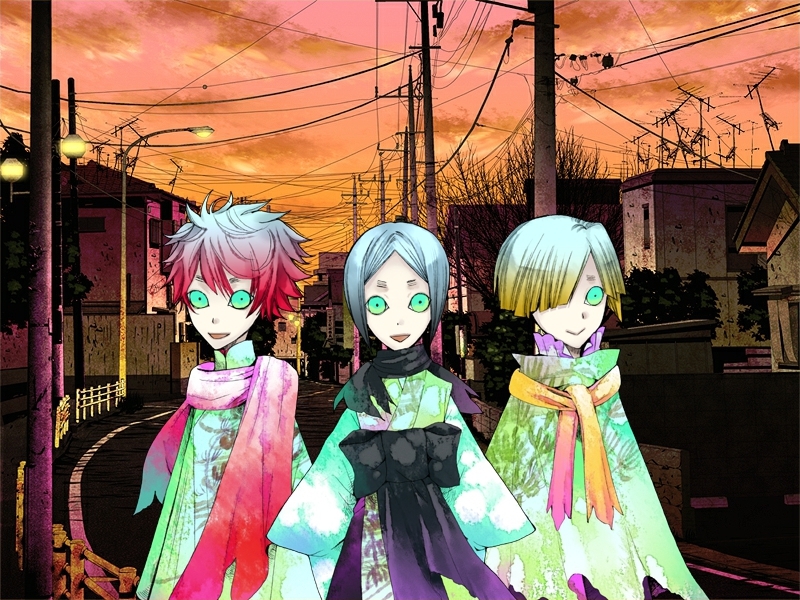 Their individual names are Suisen (red fish), Gyokuro (black fish), and Kiimun (yellow fish). As spirits, they seem young and immature, but they are capable of taking the form of children. They are curious and flighty in nature, but also blunt and even cruel. A calm and serious mouse spirit that takes care of many household matters around the temple. 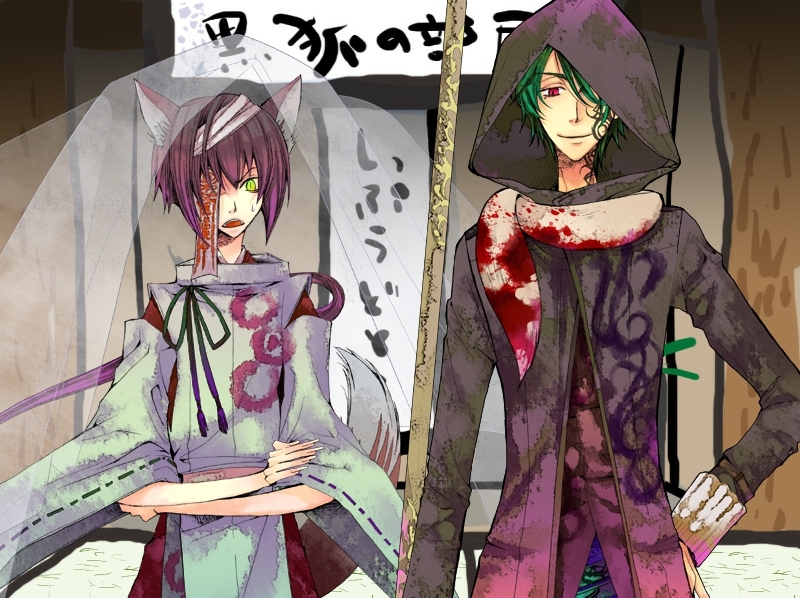 Although normally cool and polite, Ranchuu will take a (usually deserved) harsh tone with Kurogitsune. While they appear to be cute, young girls, these two are strong spirits who will forcibly drive anyone out of their territory. The black-haired girl, Nagi, is calm and quiet, while Saku is more mischievous and teasing. Although they don’t care for the temple residents and act independently, they are both fond of Yue. Tsubaki’s little sister. Hina looks like an ordinary young girl, but she’s attuned to the supernatural and sensed the true identity of the goldfish spirits while in their human forms and vaguely warned Sora of the danger. Inexplicably, Hina also lied to keep Sora from meeting her brother. 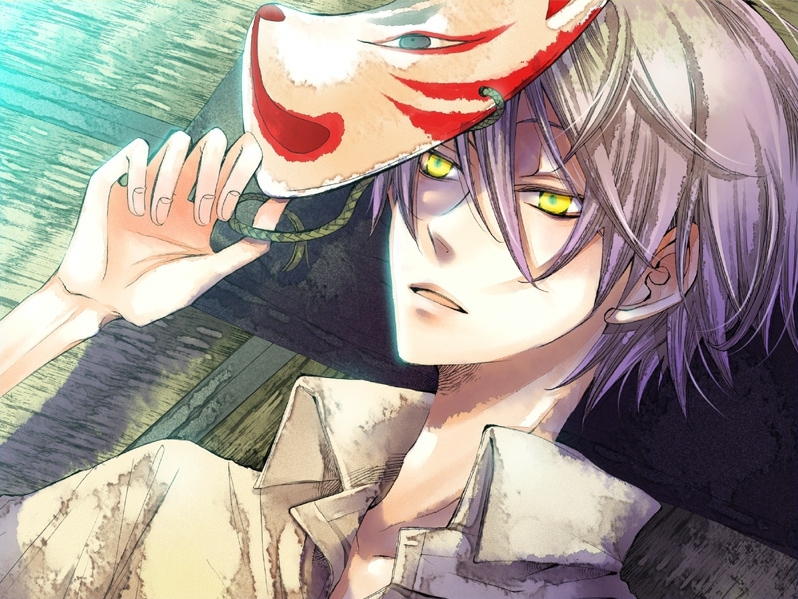 Seen giving his mask to Yue in his dreams. This odd cat hangs around the electronics and antique shop district. The presence of two tails suggests it is a nekomata spirit. 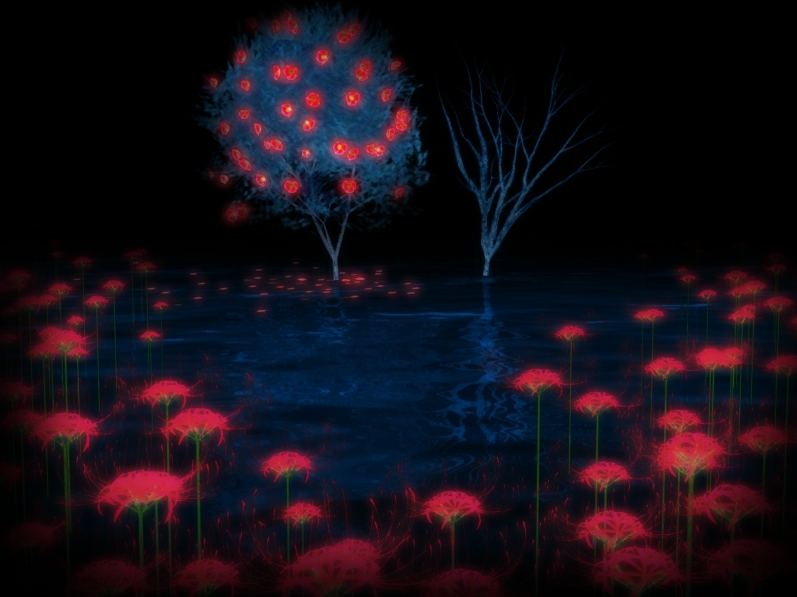 It showed a passing interest in Yue and the goldfish spirits are very scared of it. Akujiki are spirits who ate someone that wasn’t their own “prey.” As a result, they become uncommunicative and hostile towards other beings. Normal humans generally appear as indistinguishable, unappetizing shadows to spirits. If you have any questions, leave a comment and I’ll answer them to the best of my ability. I hope others will take the opportunity to dive into AkaAka’s world! 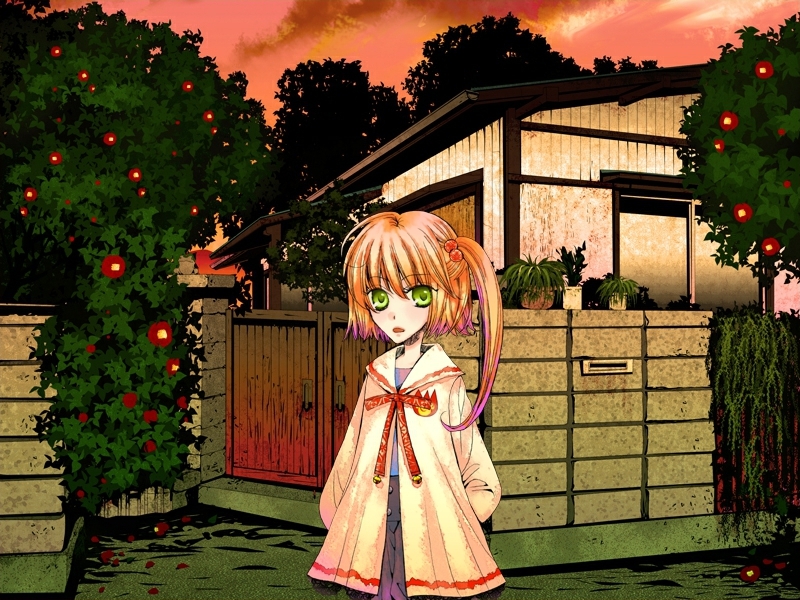 This entry was posted in Games and tagged AkaAka, Akaya Akashiya Ayakashino, Haccaworks, visual novel. Bookmark the permalink. I love her work.. I wish she had an artbook out! 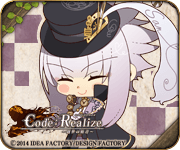 I’ve already hunted down some of the doujinshi equivalents for HaccaWorks*, so I’m excited. If you end up playing it, tell me what you think. I couldn’t find any Hanakisou friends even after spreading it around aarin, lol! It seems underplayed for being so gorgeous to look at! I’m very glad it was useful! 😀 I was searching for information myself before and came up empty, so I’m glad it can help people. I’m also ridiculously excited that HaccaWorks* is close to releasing it–seems like we’ve been waiting a long time! But I’m sure the wait will be worth it after playing the demos 🙂 I was very pleased the demos showed off so much of Yumekagami Misaki’s work. Hopefully we don’t have to wait too much longer! Thank you for posting all of this! I’ve been looking for info on the game, but I can’t read Japanese, haha. I’m looking forward to this game so much. The music really fits and the plot seems interesting. The art is really nice, but in a somewhat creepy way. 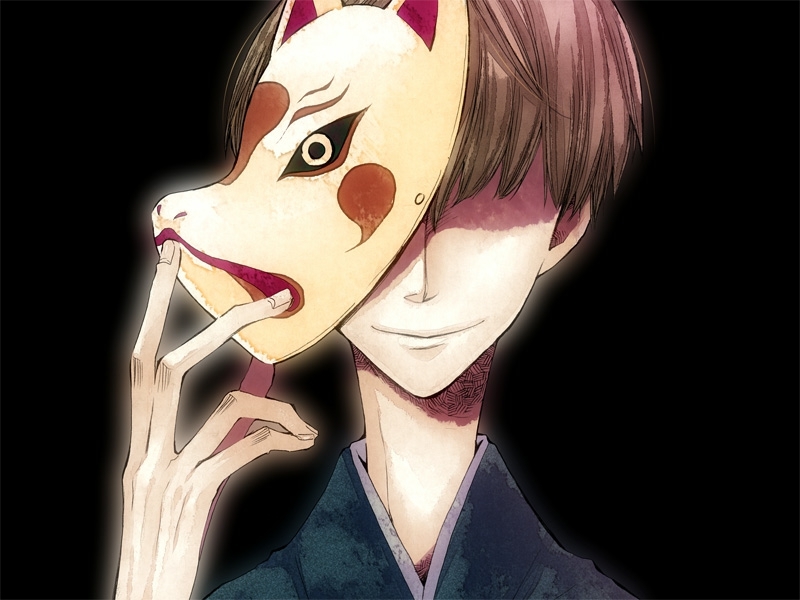 I mean, that Akujiki scene scared the crap out of me when I played the demo. When the game is released, will you do a summary of it? I’m glad you found it useful. 🙂 I’m looking forward to it a lot (as this entry shows!). It does have a beautiful, yet creepy undertone to the scenes and the music. I’ve thought about doing something like that if there’s enough interest in summaries. I’d do specific character routes and such. As long as the level of language stays at the current levels shown in the demos, I should be able to understand enough to summarize. It’s a lot of work though, so we’ll see! So far, I’m glad this entry seems to attract lots of random people looking for info, but I’m still not sure how useful it is to them to undertake such a task! This game looks lovely and really really interesting. 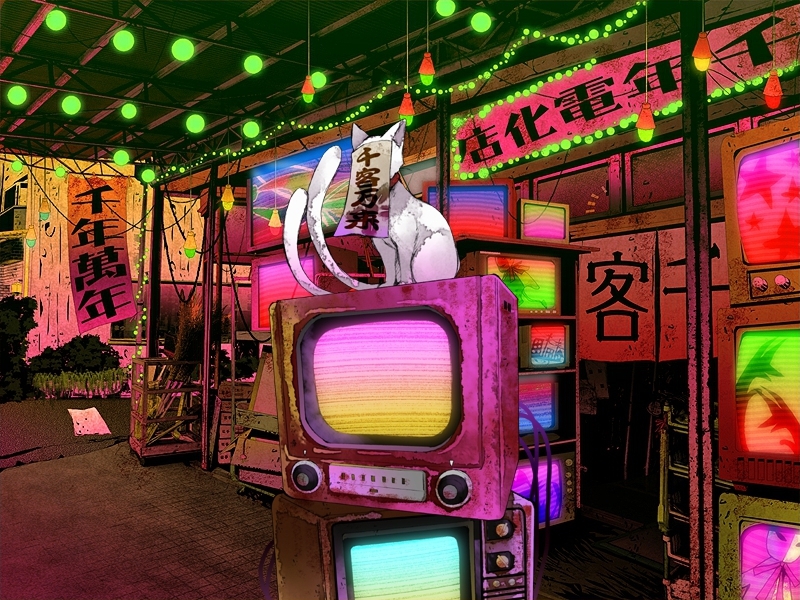 I love the creepiness and those colors… Unfortunately I can’t play unvoiced games because I can never understand enough of the text to my liking and I end up getting too frustrated to continue. Guess it’s time to learn Japanese ._. The voices do help a lot! For what it’s worth, the text is very simple–one of the more simple games I’ve played. I’m hoping it will eventually get the voiced PS2 treatment (or even PSP) like Hanakisou. You’re welcome–I’m glad you gave the demos a try! AkaAka is currently only available by PC. Haccaworks* lists an number of stores you can purchase it from: http://haccaworks.net/aaa/aka_tokuten.htm Note that since it’s software, the stores only ship to addresses in Japan. So you have to use a forwarding service like Tenso or a proxy buying service like Celga or FromJapan to ship to a foreign address. So unfortunately you have you go through a couple extra hoops, but it’s easily done. For a service like Celga, it’s incredibly easy–you just give the link to the product you want to buy, pay them a deposit amount using paypal, and they do the rest. Actually, that’s a good question because it can be a common misconception. AkaAka is *not* shounen ai. It’s a shoujo supernatural/fantasy story. If you squint hard enough, I guess you can find a little slash, but it’s not nearly the same level of Hanakisou (which itself is technically not considered BL). No problem. 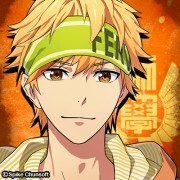 I don’t have any big recs on PSP. I like my game systems new, so that would leave you with a PSP-3000 model. Complaints for that one are that you can’t easily load custom firmware for homebrew programs/emulation/yar pirating.. but the older models that can aren’t as readily/cheaply available, let alone new. So I’d go with the current base model. Games aren’t region protected, so you can play import games you buy. Skip the PSPgo. The opening song is fabulous 😀 Thanks–I’m glad you liked the preview write-up. No problem and how much is the game usually cost? and can get this in amazon or some common shopping website? Waaah this looks good! I’ll probably play this after I finish Hanakisou. I posted an amazon link above. There’s other places as well. They require a shipping address in Japan, so you’ll need to look into using a forwarding service like Tenso. Buying software outside of Japan is annoying. Okay, I don’t speak or read Chinese at all, so Google translate is telling me this is an inquiry about how to download and use the game? Well, you can get the free *demo* trials from the HaccaWorks* website. That’s the only thing covered in this entry. As for the full game, I bought it. I don’t have and won’t spread any information about downloading it. 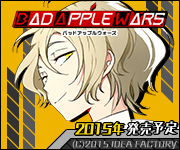 It’s a doujin game.. please support their YEARS of effort by buying. It’s relatively cheap for a game as well. Hmm…I downloaded the demos but they don’t work. An error screen keeps showing up but I don’t think the problem is in my computer. A purple screen with the script shows up. Gaaah but I really love the character design and the atmosphere of the game. Thank you for writing about it, this post is really helpful! No clue why it doesn’t work, especially if you regularly run Japanese games. I had zero problems with Windows 7 and just followed the basics of setting region/language etc. I’m glad you found the post useful at least! I’m trying to figure out a way to buy this game right now, seeing as Amazon won’t ship software overseas. I think my aunt has some friends in Japan, so I think that could help. If you can’t get the demos to work, I doubt the full version would be any different. I’d beware and troubleshoot that first. International buyers can use deputy services to buy things like software for them for a smallish fee. And thank you very much for writing this post, I wouldn’t have been nearly as interested in AkaAka without it! Here, try moving the file down as low on the system tree as you can. I moved it from my downloads folder onto my desktop and it worked. I was also in japanese region settings at the time, though I’m not sure if this is important. Here is how to change regional settings. It eludes me why people keep posting in foreign languages obviously not covered on this blog. Consider this a general statement then. Okay, Google translate says this means “But I am Russian.” Since I don’t speak Russian or *ever indicated any knowledge of it*, we’re running with that. Okay—and? I’m from North America and speak English, but that has nothing to do with the fact that AkaAka is a Japanese game in Japanese and only Japanese. It isn’t magically translated into the language of our choice unfortunately, so we have to deal with it being in its native language. An English-speaking website isn’t the place to ask about information on a Russian or any non-English translation anyway and I have no idea what would give people this impression. Is the English version out? Where would I buy the English version? It’s only available in Japanese. I’m not sure we’ll ever see a translated version. It’s unlikely. I always thought of Ranchuu as male due to the voice, but I don’t actually recall any material like the supplement books specifying gender.. hmm. It all aligns with “prepubescent boy” in my head since Ranchuu hasn’t had his meal yet. So it’s whatever you want! Ne, does this have a Romance Part? If so, then who will he end up with? I wan’na try this if he ended up with someone… Arigatou Gozaimashita! Sorry, it’s not a romance game. You pick character paths that focus on how your choice drives the plot/outcome of the story, but it’s not romantic. Did you play Corpse Party too? And did you watched all the Animes off the Mangas?